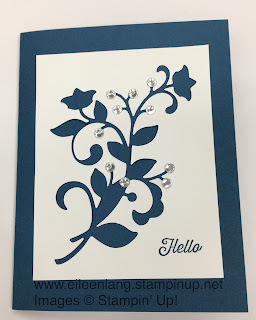 Eileen's Stamping Corner: Flourish Thinlits - Negative! 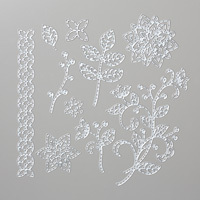 If you read yesterday's post you saw that I used a cut Flourish Thinlit to embellish the front of the card. This is the piece that was left over when the thinlit was taken out. 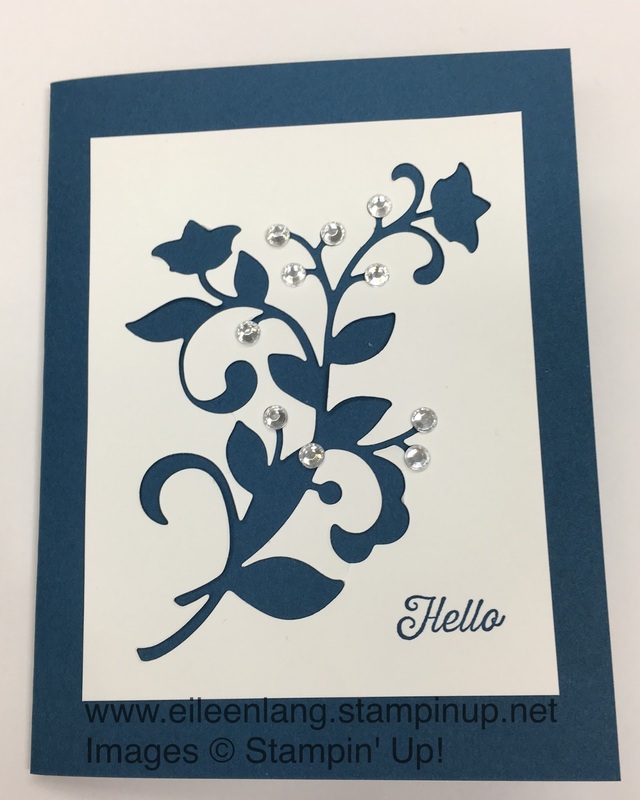 I just added a few pearls and my simple Hello at the bottom and now have another card to use. If you cut your layer to a size that will look nice on a card front you actually have two projects with just one cut. 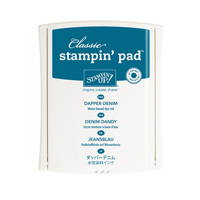 A simple way to keep a supply of quick cards on hand when that special occasion arises.